La Paloma Lodge sits atop a cliff overlooking the Pacific Ocean and backed by the lush tropical jungle. The property is located on 14- acres; just a short walk from the cool waters of Agujitas River and secluded black-sand beaches. Our accommodations, 7 bungalows and 4 rooms, are equipped with air-conditioning and offer a sanctuary for those looking to reconnect with nature. The newest addition is the private 3 bedroom Luxury Beach House, which is off site from La Paloma Lodge and offers quiet seclusion amongst nature while still having access to the amenities and support of the lodge. 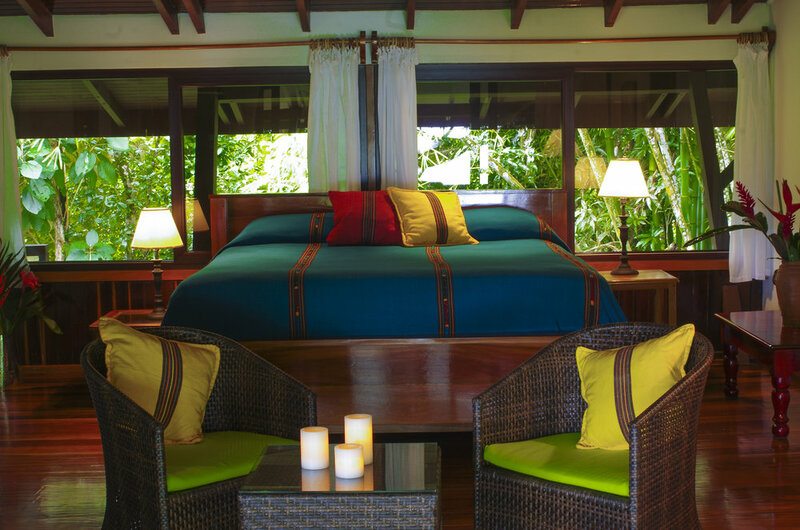 Relax amidst the richness and splendor of the tropical jungle. From your balcony, watch monkeys playing in the trees, catch a glimpse of scarlet macaws soaring overhead or relax poolside with your favorite book. Explore Corcovado National Park, snorkel in the clear waters of Caño Island and indulge in all that our tropical paradise has to offer. La Paloma Lodge is the perfect place for nature lovers looking for adventure, couples escaping on a romantic getaway, or families looking to make memories that will last a lifetime. Subscribe to our newsletter to receive special discounts and seasonal updates. Thank you. You will receive a an e-mail shortly to confirm your subscription.